I become a stonemason because I love churches and cathedrals. 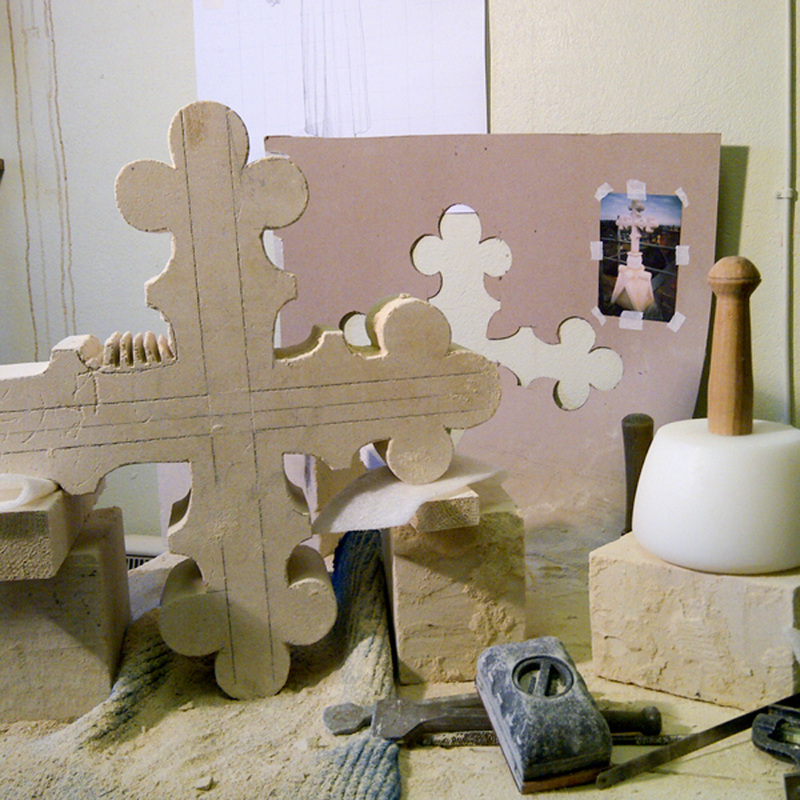 After training in London I honed my craft working in the cathedral workshops of the West of England. 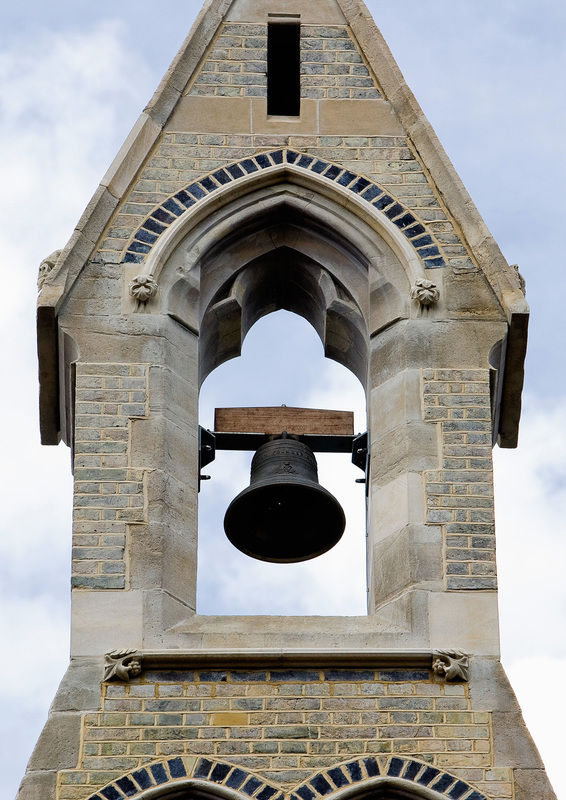 I am now based in Kingston-upon-Thames and work on churches in south London and Surrey. 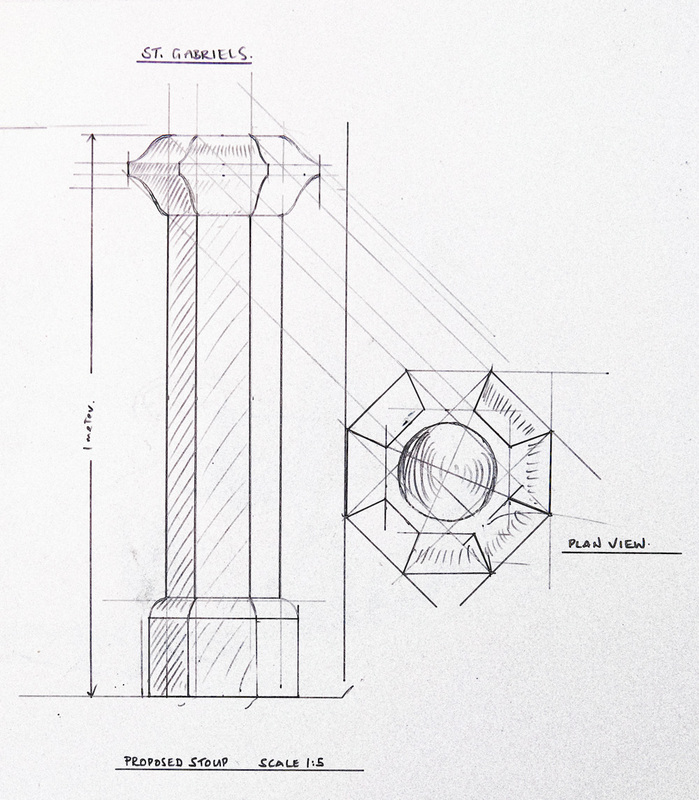 I’ve restored, repaired and designed all manner of pieces using the appropriate limestones, sandstones and marble and have considerable experience with all stones. I’m only too aware that churches can have limited coffers so I will work with you to find the most cost-effective solution to your needs. Call me on 07803 908 066, email me or use the contact form below. 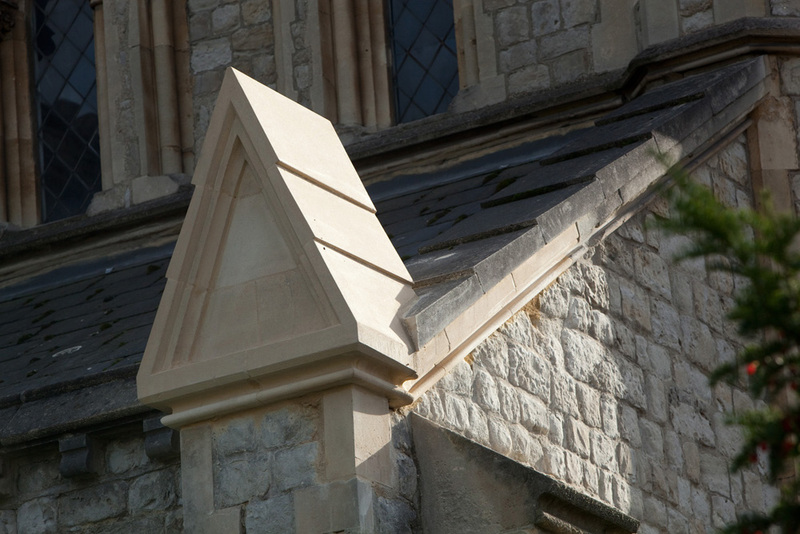 This is part of an ongoing project I undertook with Will Horn to replace various buttress cappings and string courses at Christchurch, Highbury. This is an eagle – the symbol of St John The Evangelist. 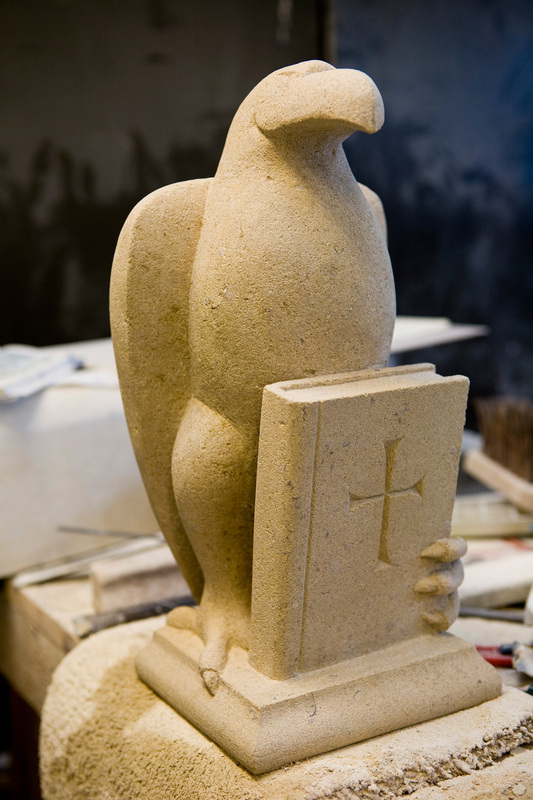 I carved it from a block of Bath Stone for the RC Church of the Immaculate Conception and St Joseph. A work in progress shot of one of many crosses I’ve carved. It’s quite a lengthy process. I can’t remember where this one went! I was part of a team led by Martin Duncan-Jones who helped restore the RC Church of St Monica in Hoxton Square, London. I worked all the new stone including the carved ends of the string course under the bell and the hood moulding and the carved ball-flowers. It’s an unusual construction for a church as the columns and roof are made of timber with a stone surround designed by E.W. Pugin. 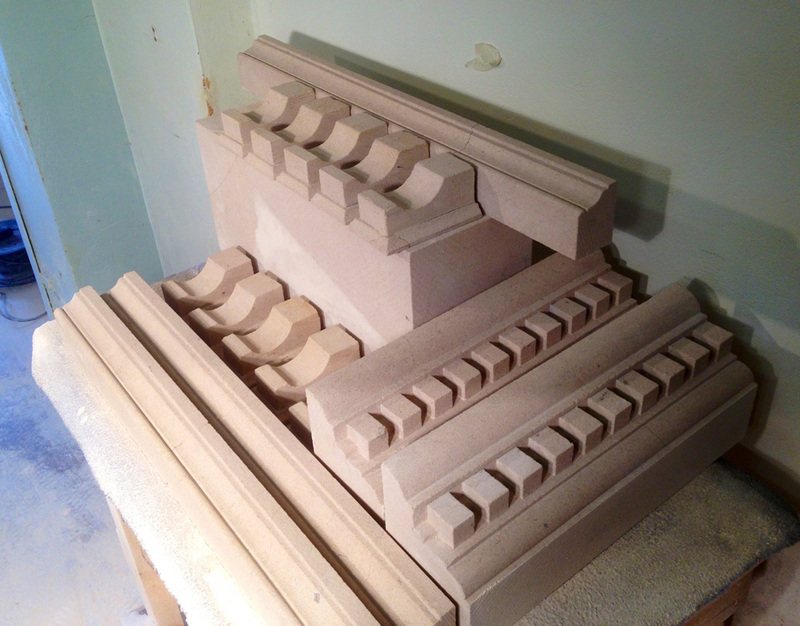 Finished stones for a classical portico – ready to be fixed. And here it is. It was designed to accommodate a ceramic bowl (this one is from John Lewis!) as the Holy Water needs to be emptied and saved. 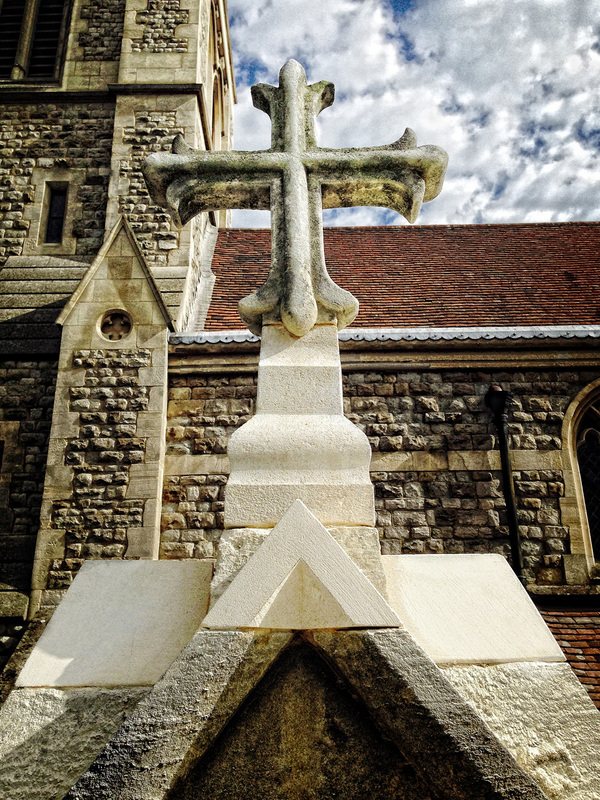 This is the restored cross on the Anglican Church of St Mary Magdelene in Enfield. This was a wonderful project to be involved in. On the initial inspection my colleague Will was able to lift the cross out of the poorly eroded base without any effort. 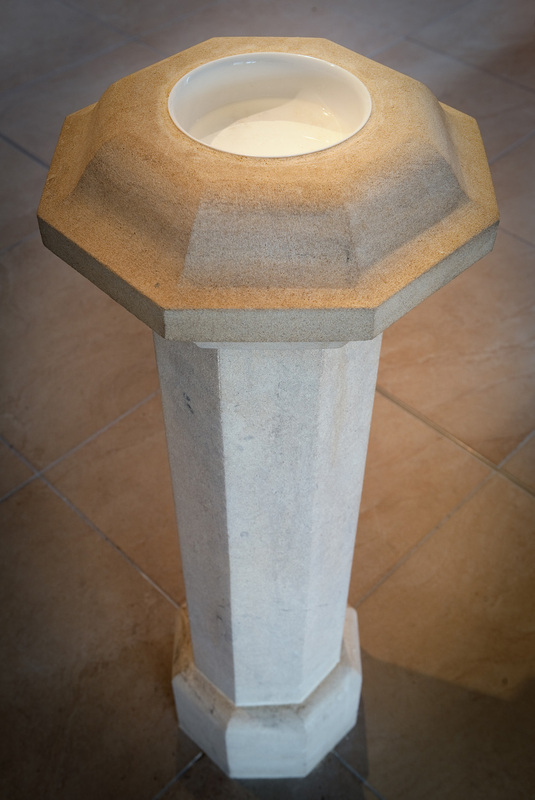 I designed and installed a new base, managing to conserve the original cross, and inserted a new stainless steel dowel where previously a mild steel rod from the Victorian era had rusted and burst the limestone open, causing the damage. 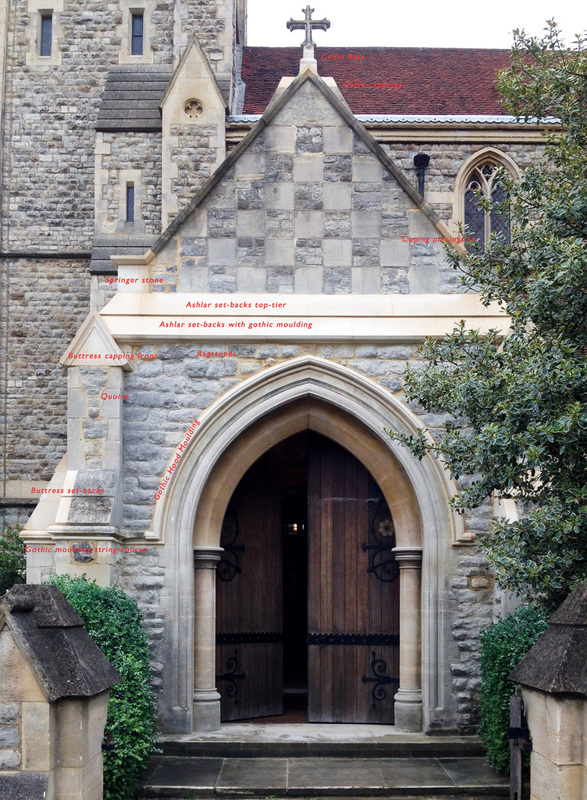 This is the restored front of St Mary Magdelene with the various new parts labelled. Good for another 150 years!